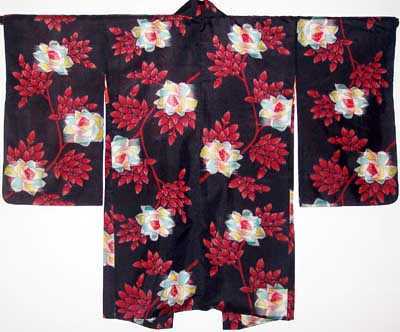 The silk meisen used for this haori is highly collectable, as it is no longer available except in antique pieces. 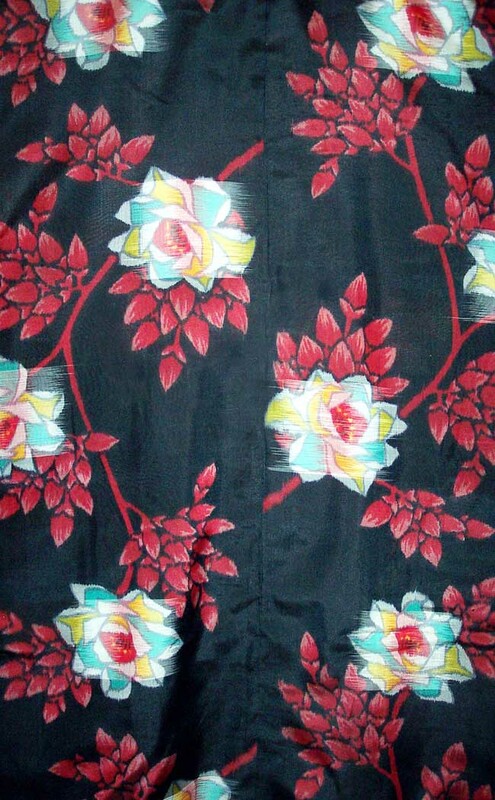 The cloth has been decorated in a stenciled design of abstract roses. The rose is not native to Japan. Our research indicates that the Japanese first saw the rose as a textile design while attending the Paris (international) exhibition in the early 1900. At this time Japanese textile artists were also introduced to Art Nouveau style. 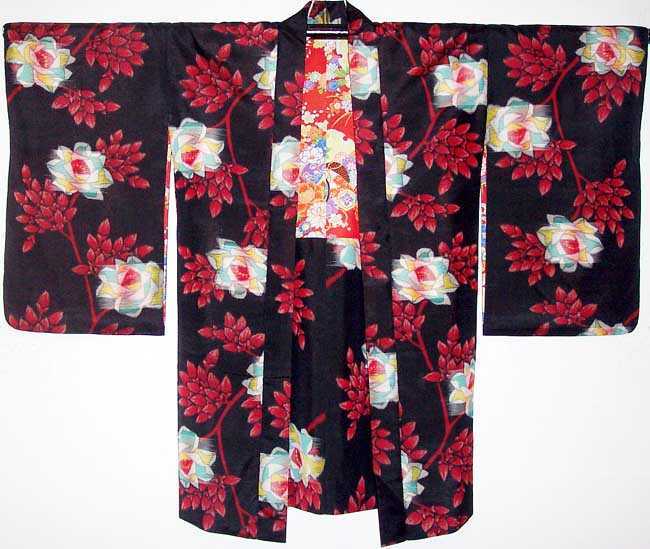 The floral pattern on this haori is presented in pink, white, aqua, red and grays on a field of black. 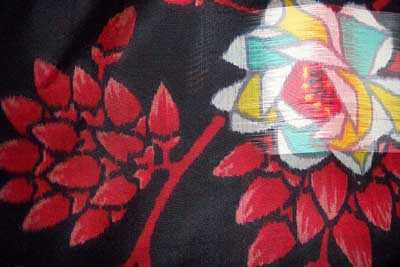 The haori is fully lined in a colorful silk. The antique jacket is in good condition. Meisen is known for its durability and its shinny finish. 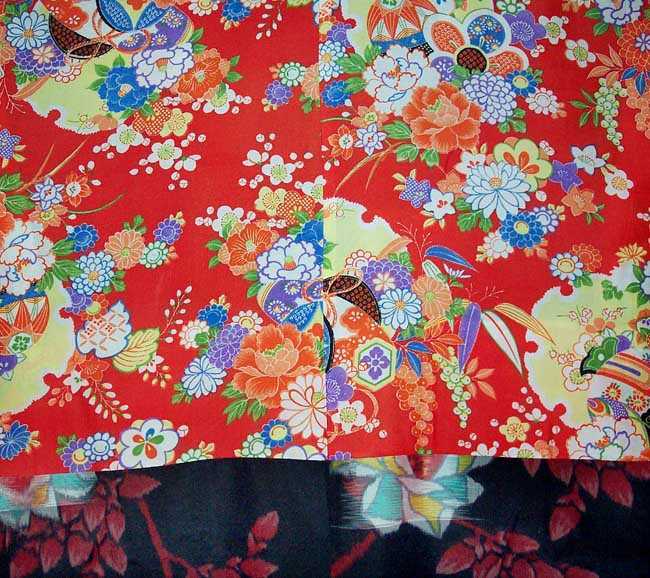 Haori Dimensions: 50”wide sleeve tip to sleeve tip X 37” long from shoulder to hem.